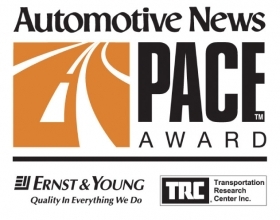 Here are profiles of some of the 28 finalists for the 2010 Automotive News PACE Awards. This group highlights environmental innovations. 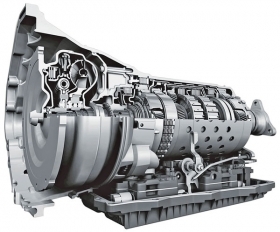 Co-sponsored by: Ernst & Young and Transportation Research Center Inc.
ZF didn't set out to build a new transmission. But it wanted to improve performance and fuel efficiency while reducing emissions in a modular design that would allow hybrid and all-wheel-drive variants. Its eight-speed transmission improves fuel economy by at least 6 percent vs. current 6-speed transmissions at the same size and lower weight. Most vehicle underbody noise-deadening panels use short glass fibers for stiffness and adhesives to create a sandwich structure. 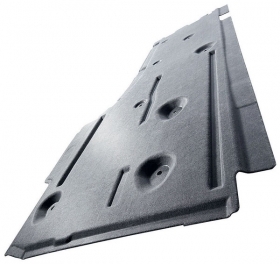 But that raises environmental problems during installation and makes recycling difficult. Rieter eliminated glass fibers and adhesives and came up with a fiber-based product that is extremely lightweight, acoustically tunable, stiff, temperature-resistant and cost-effective. 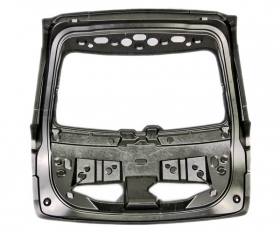 For the 2010 Lincoln MKT crossover, Meridian created the world's largest die cast magnesium closure panel. Compared to the original steel design, which had six assembled and welded components, Meridian's single panel saves 21.2 pounds, increases passenger headroom and achieves stiffness targets. Aluminum pistons had almost reached their limit in light-vehicle diesel engines. Higher pressures and hotter combustion were pushing those pistons literally to the breaking point. 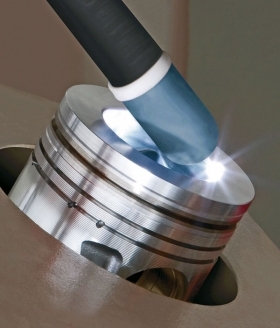 To cope, Federal-Mogul found a way to remelt the high-stress areas of a piston's combustion bowl, creating a refined aluminum alloy microstructure for greater strength. The piston's durability rose by a factor of four or more. It can be used on 2- to 12-liter engines. Delphi's improved diesel common-rail injection system sets the injector needle in motion directly by using a piezo ceramic actuator rather than moving it via an electrohydraulic circuit, to spray the fuel into the combustion chamber faster and more accurately. This cuts particulate and nitrogen oxide emissions 30 percent and fuel consumption up to 4 percent and raises power up to 8 percent. 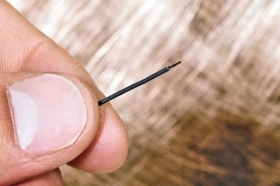 Delphi's exceptionally thin cable insulation allowed the supplier to create a wiring-harness cable that is one-third the size of the previous minimum that could stand up to a vehicle's harsh underhood environment. Delphi's cable allows the weight and bundle size of a wiring harness to be slashed with no sacrifice in performance. 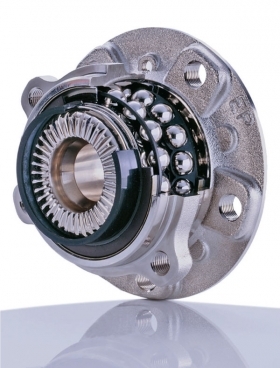 For: Wheel bearing with face spline Schaeffler's design replaces traditional radial splines with self-centering axial splines where the wheel bearing meets the half-shaft. This allows easier, faster assembly and the transfer of greater torque while improving noise, vibration and harshness. It also cuts weight by 1.3 pounds per axle.